Location, location, location. Excellent, right in the middle of it. 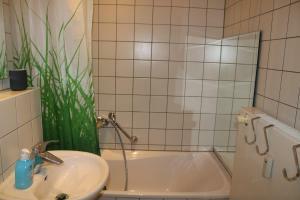 We stayed at the apartment in Ritterstraße 7. The Location was perfect, very close to many points of interest and public transportation. All though parking wasn't provided there was a parking garage (Oelßner´s Hof) in 3 minute walking distance for 10€ per 24hours, very reasonable. Communication with the owner of the apartment was excellent, very quick by email and costumer oriented. Very conveniently located in the city center. A lot of shops, restaurants as well as tourist attractions are within a short walking distance. Spacious rooms. A lot of crockery, cutlery, kitchen utensils. Fair price. The check in was swift and simple. The apartment relax exceeded our expectations and was lovely to stay in for a couple nights. I will definitely be staying here again! Excellent location and extremely well-furnished and spacious accommodation. 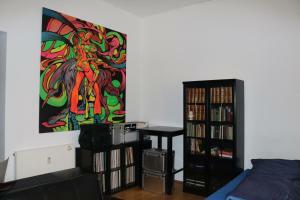 The apartment had everything I needed and was in a quiet but central part of Leipzig. Generous and friendly welcome too! The apartment was in a great location and we had a fuss free and friendly check in. It met our needs for an overnight stop in Leipzig and has an unbeatable location right in the centre of the old town. The beds were very comfortable and our greeting and host were lovely. The apartment is spacious for a group of people and in a great location! 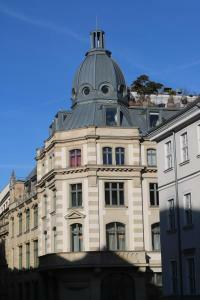 The apartment is located in the very old town of Leipzig. That said, it's surprisingly easy to drive to the very door of the building, and equally easy to park in the Karstadt department store underground parking, 100 meters away, for quite reasonable EUR 9 per night. And, of course, everything of importance in the city is within a walking distance. The host showing us to the place was very nice and friendly. The apartment itself is very spacious. The bedroom has a king-size bed and a sofa-bed, and the living room has a monster-size sofa, converted into a bed on which four people can sleep easily. The kids loved it! The whole place is bright, clean and very well-equipped. The windows face a very stylish, old office building (Leipziger Eliktricitaetswerke). Lock in a great price for Lodge-Leipzig – rated 8.7 by recent guests! Lodge-Leipzig This rating is a reflection of how the property compares to the industry standard when it comes to price, facilities and services available. It's based on a self-evaluation by the property. Use this rating to help choose your stay! One of our best sellers in Leipzig! 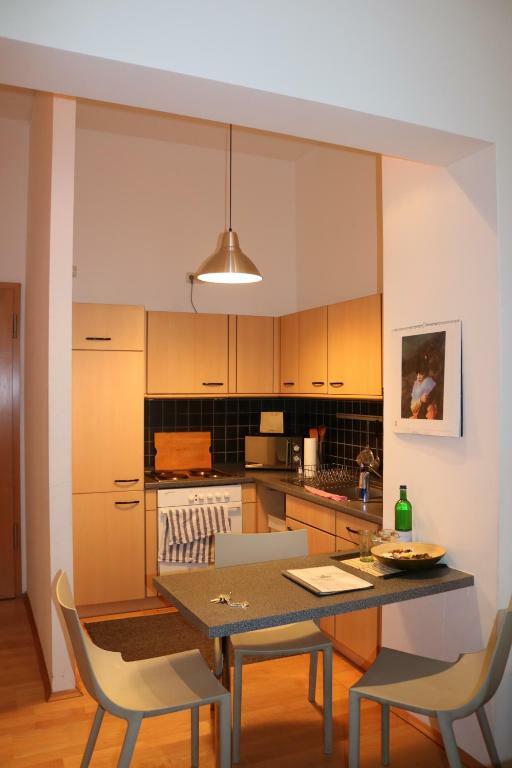 In a prime location in the heart of Leipzig, just a 10-minute walk from the main train station, these apartments offer an attractive alternative to hotel accommodations. All of the city’s attractions can be reached by foot from here, including the Nikolaikirche (church) and the Gewandhaus. A wealth of restaurants and entertainment venues are equally close, inviting you to round off your day with a pleasant meal, an opera visit or a relaxing drink. 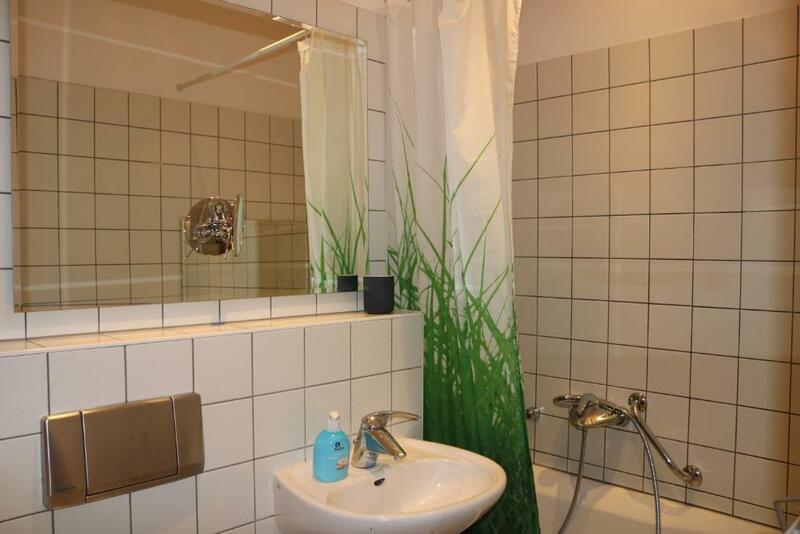 The apartments are generously furnished with individual, high-quality furnishings. Whether you are a solo traveler or exploring the city with friends, these accommodations allow you to feel completely at home during your stay. 뀐 Located in the real heart of Leipzig, this property has an excellent location score of 9.6! When would you like to stay at Lodge-Leipzig? The apartment can accommodate up to 6 people. Please note that the listed rate refers to 1-2 people only. Every additional person is subject to a surcharge of EUR 19 per night. Please note that guests staying fewer than 3 nights will have to pay a surcharge of EUR 19 for final cleaning. Please note that guests staying fewer than 3 nights will have to pay a mandatory final cleaning fee of EUR 19. This is not included in the rate and it is payable directly at the hotel. Spacious apartment features a separate living area, fully equipped kitchen and atmospheric lighting. This apartment features a living/kitchen area with an integrated corner bench, and a separate bedroom. 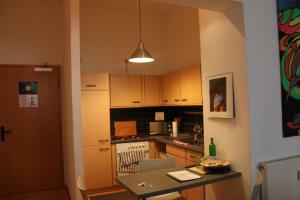 This apartment features a large kitchen/dining area, and a living/sleeping room on the upper-floor. 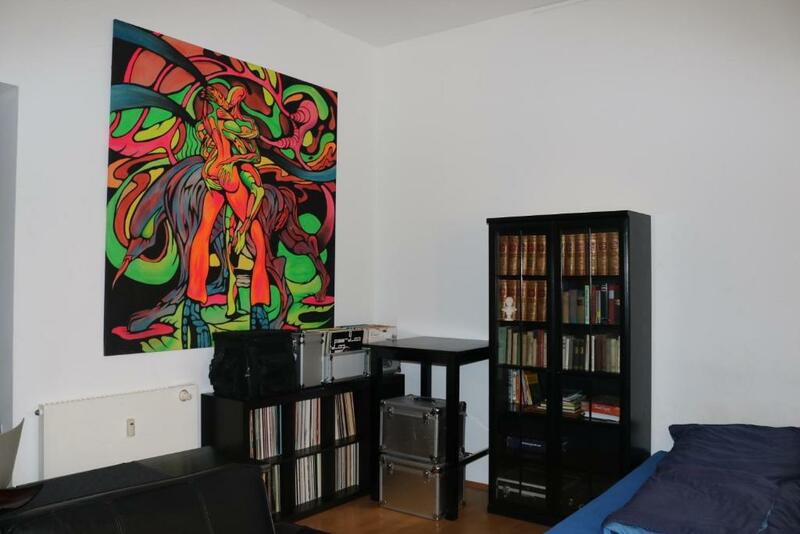 This apartment is centrally located between Leipzig Main Station, the Opera and the Market Square. This apartment features a electric kettle, dishwasher and private entrance. House Rules Lodge-Leipzig takes special requests – add in the next step! Lodge-Leipzig accepts these cards and reserves the right to temporarily hold an amount prior to arrival. He was trying to charge us money for cleaning which is not our job. The apartment was left in a good condition. One night was a little bit noisy, but that was Saturday Night and should be expected. Very high wardrobe doors in the bedroom are not working properly (look like they can fall off right on the bed). A lot of unnecessary stuff is stored in the bedroom openly. No shampoo, no tissues, not even in tiny quantity. Windows are facing another building which is very close and as it's a top floor apartment there's some noise from ventilation equipment on the roof. For a big accommodation there is no kettle for tea and hot water, this is a minus. Quite noisy at night near the Main Street. The whole place could do with some curtains or blinds, especially the bedroom and bathroom. Check-in would have been difficult without some knowledge of German as well! The flat itself is a little tired but still presents decently. Had to pay 5 euro extra for parking because the first card didn't work. Seems to be a plumbing issue - the sink in the kitchen took forever to drain. When using the washing machine and then the dishwasher the water seemed to back up into the sink and would have overflown if we hadn't scooped water out into the toilet. It looked like the floor underneath the couch had never seen a vacuum. The noise from the theater below will be an issue if you're a light sleeper. The location was excellent - was right next to a shopping district and unique buildings that made it very easy to see some sights without hassle. 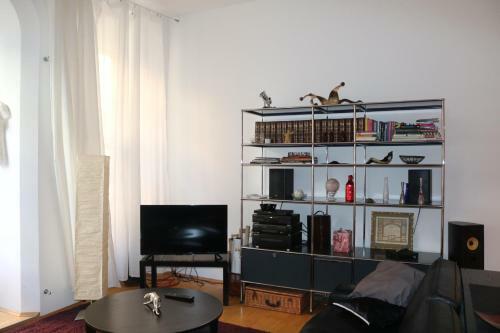 The apartment was nice and big with high ceilings and was tastefully decorated. There was plenty of room for my wife and I and our daughter, but would be also be sufficient if you had a few more people. The host was very friendly and mostly willing to address any concerns. We chose not to take our large suitcases up the stairs to the bedrooms. The stairs may a problem for those who have mobility issues. As in every old town, noise can be an issue. 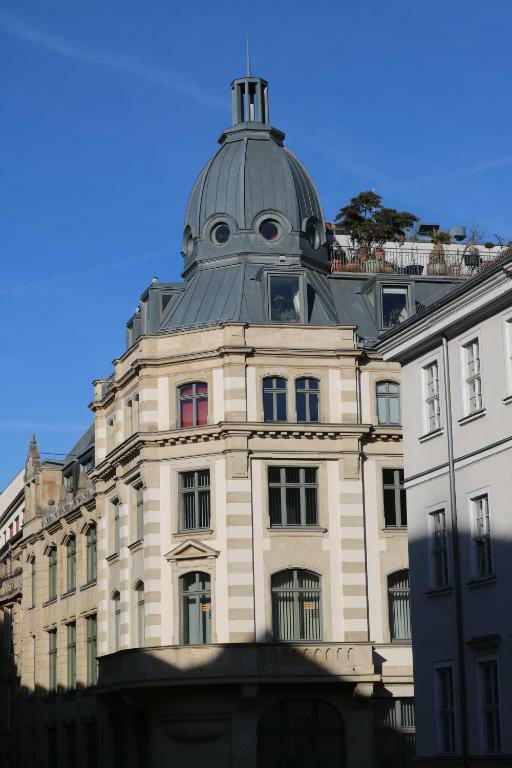 The narrow streets with rather tall buildings (like in Leipzig) act like canyons. If there as some rowdy passers-by (not such a big problem in Leipzig as in many other cities), it can get quite noisy, especially at night. The solution is not an easy one here (soundproof windows and air conditioning), but it won't just go away. 1. Apartment (Cityfriends, 5 nights in June 2017) is unsanitary, with birds droppings on the balcony and on the threshold to the rooms; many flies due to this 2.	unclean inside the room 3.	no privacy due to the missing curtains 4.	no A/C, no ventilation 5.	stove is difficult to operate; there is no manual to anything in the apartment 6.	the bed is two twins combined 7.	wardrobe is broken and does no close 8.	management take the money and run. The management answer to complains - "no one has ever complained". You are on your own. This was one of the most awful places we have ever stayed. To begin with, the place is simply unsanitary. It is truly a health hazard. The pigeons droppings are everywhere on the balcony and once you step from the bedroom you will end up carrying the bird droppings back in your room. This also attracts a lot of flies and once you open the window (which you will do since there is no ventilation and no air conditioning in the apartment) all these flies fly in. The hotel/rental license should be revoked due to the health hazard and many other problems, the proprietors exploit the vulnerability of travelers who do not have time to report them to the authorities in a foreign country. Many things are broken and unrepaired - the curtains missing with only one panel remaining on wall-to-wall windows. You can see people five meters away in the building across and they can see you. There is no privacy. There is no air conditioning and no real ventilation. The place becomes incredibly hot on a sunny day and then you have to open the balcony, so that all the people across working at their office see what you are doing. The skylight blinds are not working. The drains are slow and broken. The drawers in the kitchen are broken. The unfortunate reason to end up there was the fact that I started booking too early and six month before June 2017 it was the only apartment near city center showing up.